If your New Year’s resolution is whiter teeth, you need to choose the correct teeth whitening product. We’ll tell you what works and what results you can expect. Teeth become stained for a variety of reasons. Teeth whitening products work best with teeth that are naturally yellow due to time and genetics. In contrast, smoking creates stains that are more difficult to eliminate. The same is true for the common antibiotics tetracycline and doxycycline. In fact, there are a variety of popular medicines and medical treatments that can stain teeth. These include high blood pressure medicines and chemotherapy. Any whitening process is of very little value if you continue to use foods, medicines or other products that stain. And some stains may be all but impossible to remove. With that in mind, let’s look at some favorite teeth whitening techniques. Let’s begin with simple toothpaste. Toothpaste with a whitening agent can gently lighten your teeth with regular use. It won’t cause a miraculous change, however. It’s only going to remove surface stains, not stains that are deeply embedded. You can expect it to improve your teeth gradually by about one shade. A whitening rinse is simple to use. Directions usually call for swirling a small amount around in your mouth for a minute or so. Afterward, you brush your teeth as usual. Results after three months may vary. But don’t expect a tremendous change. Some may find that the addition of a rinse to the daily routine may boost the effectiveness of whitening toothpaste. Others may not see an appreciable difference. Peroxide is the common active ingredient in whitening gels. You spread the product on the teeth and allow it to remain for the recommended amount of time. The thickness of the gel keeps it in place on the teeth during the process. You should see noticeable results after a few days. Some people prefer whitening strips to gels because they’re easier to use. They also rely on peroxide. The pieces stick to the teeth and have the same level of effectiveness as gels. Trays resemble athletic mouth guards. Fill them with a whitening gel and wear them in your mouth for the recommended number of hours per day. You can easily purchase these products over-the-counter products. However, you may experience some level of discomfort because the tray is mass produced. A few manufacturers sell trays that are adjustable. If even that doesn’t work, you have yet another option. Ask your dentist to custom design a mouthpiece tray specific to your teeth. One additional advantage of a personalized mouthpiece is that protects your gums. The whitening gel can irritate gum tissue. But it’s less likely to come in contact with your gums when you use a customized tray. Bleaching is a process for your dentist to handle. It requires special training. The dentist will apply a professional-strength peroxide cleaning substance to your teeth. He’ll then usually activate the material using ultraviolet light or a laser. Expect to see noticeable improvement after just one session. In general, the teeth will become whiter with each visit. Of course, the overall health of the teeth and the severity of the stain both affect the outcome. Some who use peroxide whitening products report temporary tooth sensitivity. Why? Unlike toothpaste, bleaching products work both on the surface and beneath the surface of the teeth. The cleaning agent reaches past the enamel layer of the tooth into the soft dentin layer. Sometimes this results in irritation to a nerve ending. Tooth sensitivity can happen with an at-home product such as whitening gels and strips as well as with professional dental bleaching. If you experience it, you’re more likely to encounter it in the first stages of your whitening program. If so, you should take a brief break from your regimen and allow the sensitivity to go away. If you are serious about your New Year’s resolution to have whiter teeth, consider making a dental appointment. You probably want to achieve your goal for whiter teeth as soon as possible. Professional bleaching by a dentist is the fastest method. It takes several sessions at home to equal the results of just one office visit here at McCauley Dental. Yes, at-home treatments are convenient, but they don’t come with the training and oversight a caring dentist can offer. For example, if you experience tooth sensitivity with your at-home product, you’re on your own. However, a knowledgeable dentist will be aware of that possibility and prepared to deal with it. He can immediately make adjustments to your bleaching regimen. He can also offer products to minimize the sensitivity. A dentist can also more skillfully apply the bleaching agent than you can at home. Therefore, it’s less likely that the agent will come in contact with the gums, irritating the tissue. There’s nothing more satisfying than setting a goal and then reaching it. 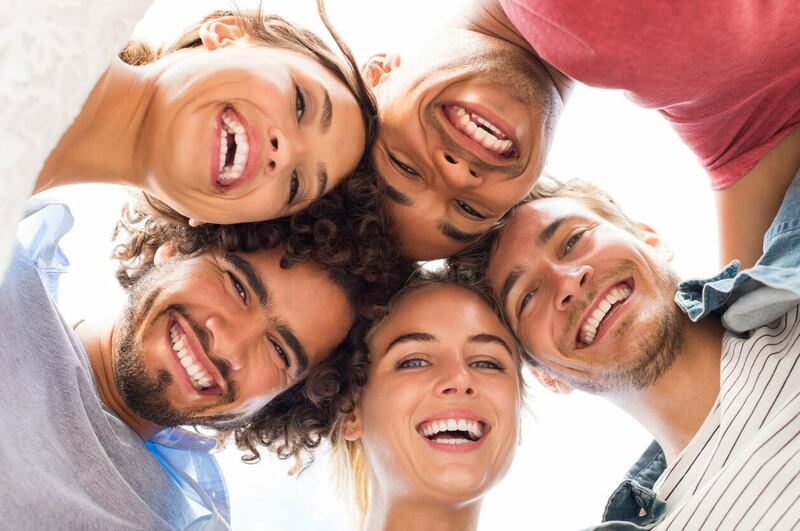 If your New Year’s resolution is whiter teeth, we’re ready to help you.